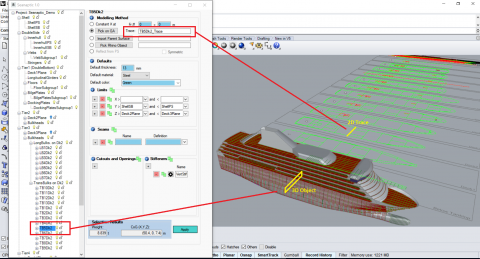 SEANAPTIC is a plug-in for Rhino for naval architects to model parametric ship structures with extreme efficiency. Thanks to the advanced automation algorithms and the presence of the 3D model next to the 2D drawings, the modeling process is highly accelerated. Data such as weight and center of gravity are permanently available and updated live as the model is built. The modeling time is similar to scaling methods, thus offering an ideal alternative when similar vessel data is not available. Results from a 3D model can now be obtained very early during the concept phase, before basic design. The model can be exported to other specialized software for detailed engineering, class drawings, weight distribution and tracking, FEM analysis, etc. 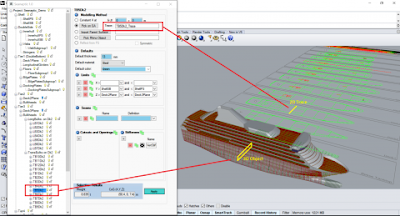 Though specialized for marine design, SEANAPTIC is adaptable to any other industry where parametric modeling and object weight tracking is necessary.